Can Tom Cruise score his first $100 million opening weekend? Tom Cruise's box office mission, if he chooses to accept it, is a $100 million opening at the U.S. box office. The movie star has had many hits over a blockbuster 30-year career, but has never had a film open to more than $100 million in the U.S., according to Rentrak (RENT). 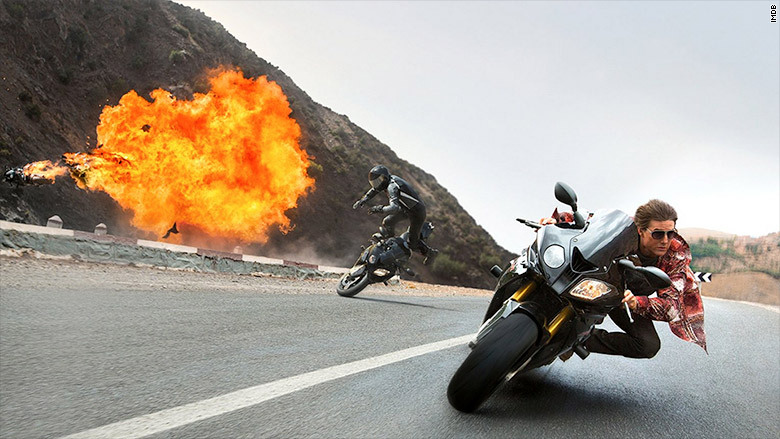 His latest film, the fifth installment of "Mission: Impossible - Rogue Nation," doesn't look like the one that will break the barrier. However, Cruise has a lot to be happy about "Rogue Nation," which he stars in and produced. The Paramount film, which opens this weekend, has already brought in an estimated $4 million thanks to Thursday night preview screenings and is projected for a $40 million to $50 million opening in the U.S. The action spy thriller is also sparking fire with critics with a 93% fresh score on reviews site, "Rotten Tomatoes." One of Cruise's most remarkable hallmarks, however, has been the durability of his career that has made him one of Hollywood's most consistent box office stars. -- From 1992's "A Few Good Men" to 1996's "Jerry Maguire," Cruise had five films in a row total over $100 million at the box office. -- His biggest film was 2005's "War of the Worlds" which made $234 million. -- In an indication of Cruise's enduring appeal, he has had a film total more than $100 million in each of the last four decades: "Top Gun" made $179.8 million in 1986; "Mission: Impossible" with $180 million in 1996; "War of the Worlds" in 2005; and "Mission: Impossible - Ghost Protocol" with $209 million in 2011. 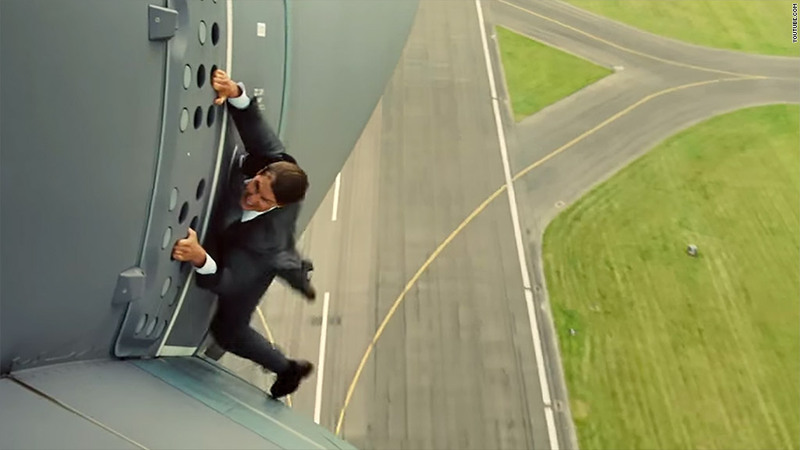 Speaking of the "Mission: Impossible" franchise, the series represents three of Cruise's top five box office hauls and has brought in over $2 billion worldwide for Paramount. And this isn't even taking into consideration how huge Cruise is globally. The actor's films have made over $7.5 billion worldwide. If reviews and buzz holds up, "Rogue Nation" should add another impossibly solid total to his box office résumé this weekend.